TYT Real name is Idiodemise Taiwo, he hails from Delta State and was born in The 80’s, TYT started his musical career at early age. He Sing with passion, nature voice and he has worked with Baddest Producers in The Industry. His debut single BETTA PIKIN is an Inspiration RnB song which touches the Heart and Soul. 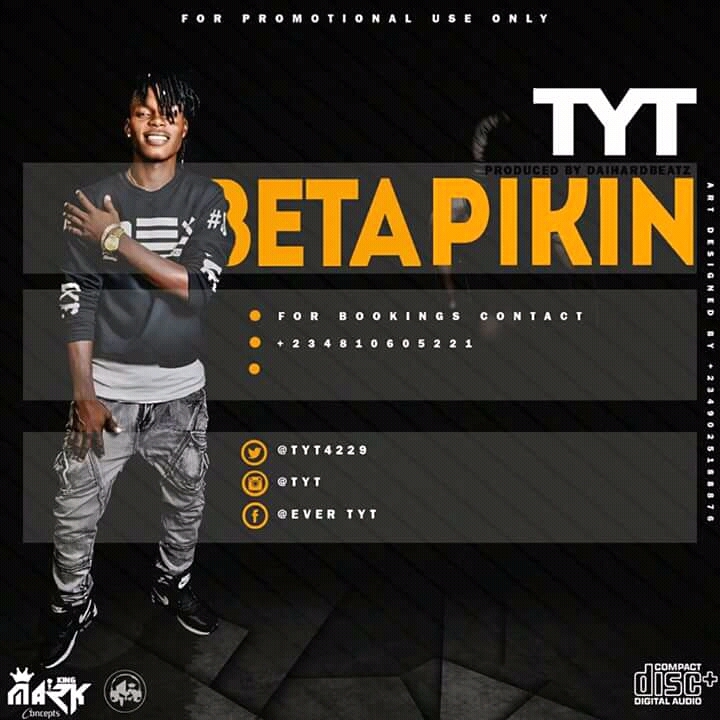 Hey Buddy!, I found this information for you: "TYT- Betta Pikin". Here is the website link: https://360kwado.com/tyt-betta-pikin/. Thank you.